Thus spake the UK’s Telegraph newspaper ten years ago, and it is interesting to reflect on whether Milan has indeed benefited from that pioneering attitude. This fashion-focused city is doing what it does best: taking the now familiar problem of how to be a viable post-industrial place, and using architectural brands to create buzz and value. 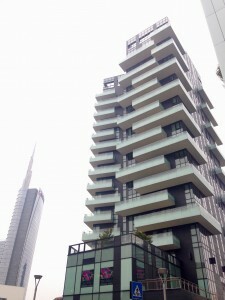 It’s almost a relief to see high rise clusters popping up around the city (the six storey politeness of northern Europe was beginning to grate), though I did wish that some of the ex-industrial buildings had perhaps been integrated rather than mown down. 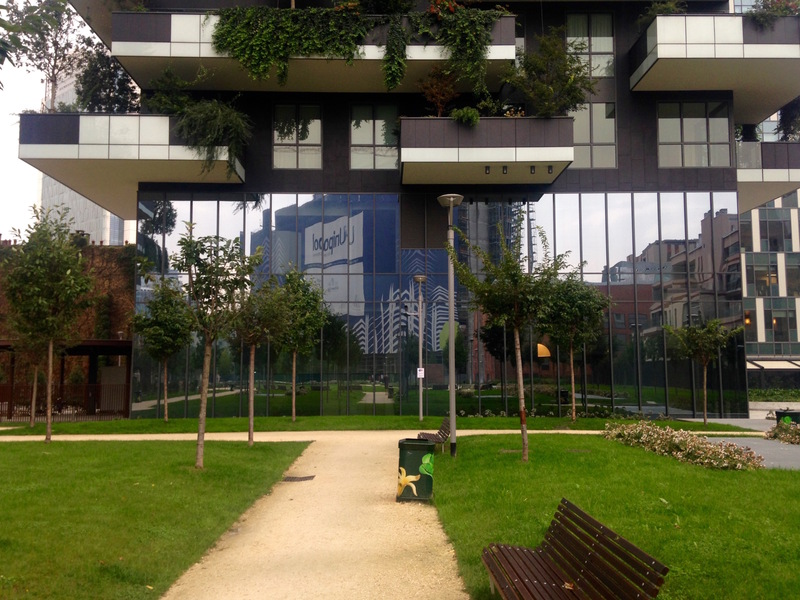 Milan is short on parks so there is a logic to redevelopment in the form of object buildings in parkland: it provides necessary density alongside equally sought-after green public realm. 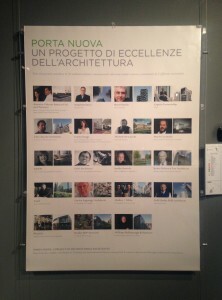 Milan’s leaders assembled an extraordinary roll-call of starchitects including Daniel Libeskind, Zaha Hadid, Arata Isozaki, Massimiliano Fuksas, Norman Foster and Cesar Pelli. What could go wrong? 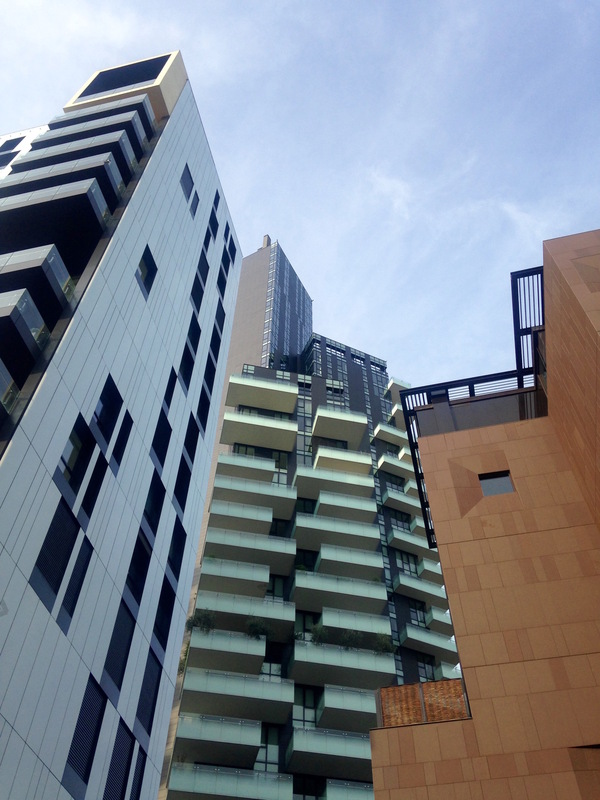 Porta Nuova and City Life are big, brash, international new mixed-use districts which boldly proclaim Milan’s desire to be playing with the big boys. 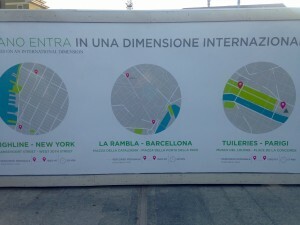 The emphasis at Porta Nuova is on height and length: ‘my passegiata is bigger than yours’, bleats the hoarding, keen to outstrip other long city promenades like New York’s High Line. The residential towers here are polished, elegant and well put together, and some of the paved and green public realm is already very successful with people of all ages appropriating the spaces as their own, not caring that the towers sometimes present alienating facades at ground floor level. 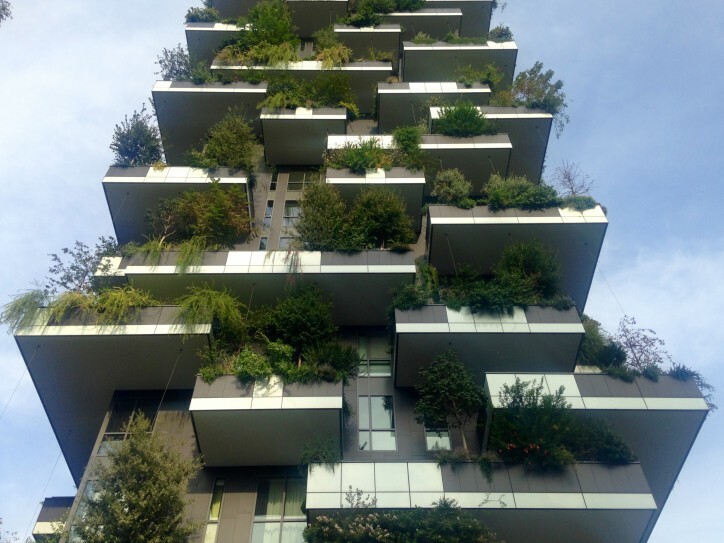 The Bosco Verticale (vertical forest) towers are the most celebrated – they are certainly dramatic and well built – but their offer at ground level is poor. 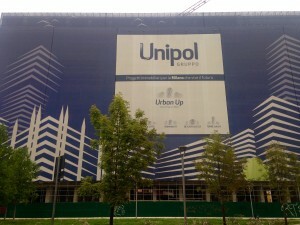 City Life (not a name I warm to) is emerging on a mega-site of 37 hectares, formerly the site of Milan’s ‘Fiera’ (or ‘fair’, whose commercial pavilion buildings outgrew the city centre and moved north west). 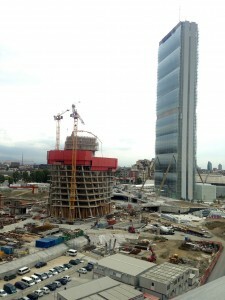 An elegant Isozaki tower is almost complete at City Life, offering spectacular views to its imminent Allianz office workers. 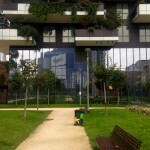 But almost half of the site area will be devoted to parkland, running freely between the commercial and residential buildings and offering unfamiliar new greenery to the grateful Milanese. 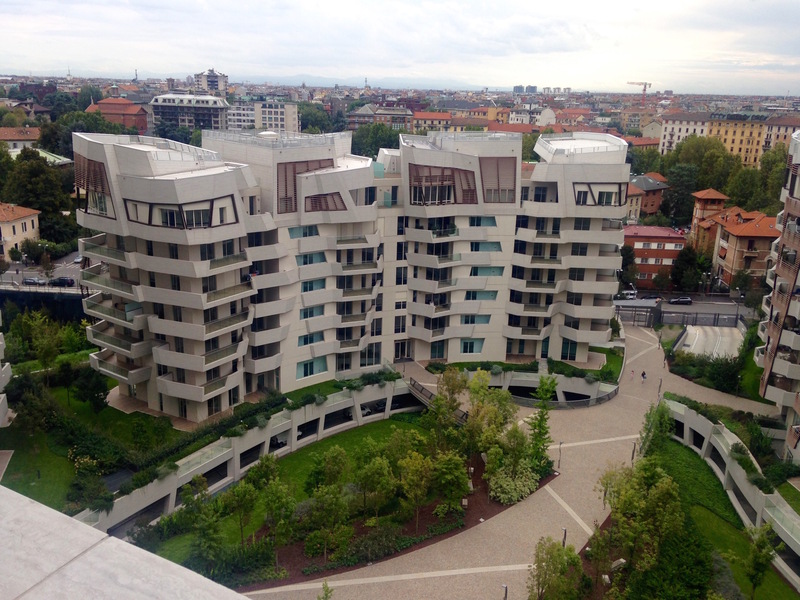 As at Porta Nuova, citizens are already inhabiting and enjoying the early fringes of this park, whose materials and planting look properly invested: to a jaded London eye, this generosity of open space in such a central location seems extraordinary. 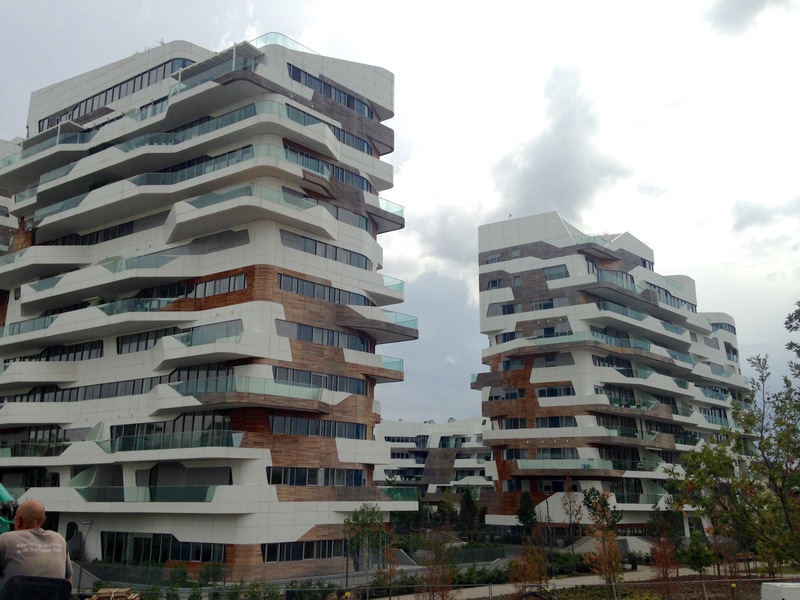 The trophy 13 storey housing blocks are initially quite arresting, but soon pall on closer inspection. 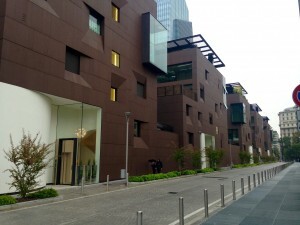 Libeskind’s cluster was the one I visited, its signature cranking shapes on elevation failing to coordinate with the very ordinary interior spaces. Hadid’s go-faster cluster was apparently a very time-consuming build, even for an experienced façade contractor: I hope the developers get the ‘brand-related’ values they want (see below) to pay back what must have been punishingly expensive build costs. I can’t personally see the point of profligate and skin-deep starchitect housing, but if someone else wants it and is prepared to pay, who am I to argue? 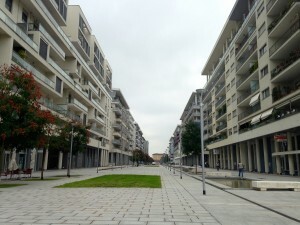 So not everything was rosy in Milan’s urban renaissance: the Santa Giulia redevelopment, with its Lord Foster masterplan and high hopes for a new urbs-meets-suburbs lifestyle, ran into various technical crises (land remediation in particular) and could not then withstand the shock of 2008. 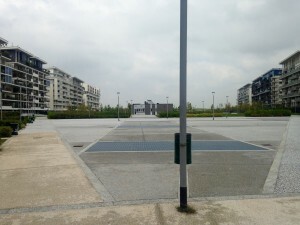 Its first phase 8-10 storey relentless built fabric framing epically oversized streets and parks strikes a very odd tone (similar to Ørestad) for its out of town location (albeit only 15 minutes from the centre). 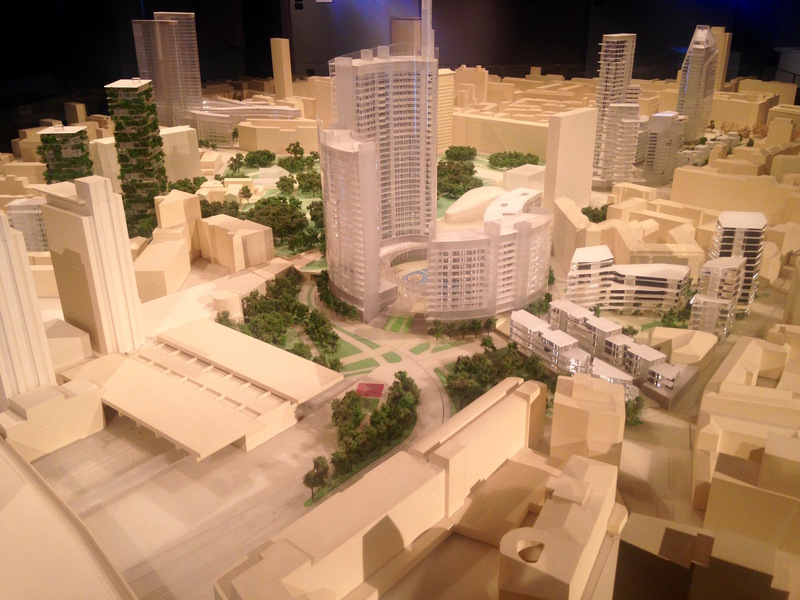 The next phase is eagerly awaited and has been totally replanned as a green, ‘smart’ city (shoot me if I ever use the ‘s’ word) of 4-5 storeys. 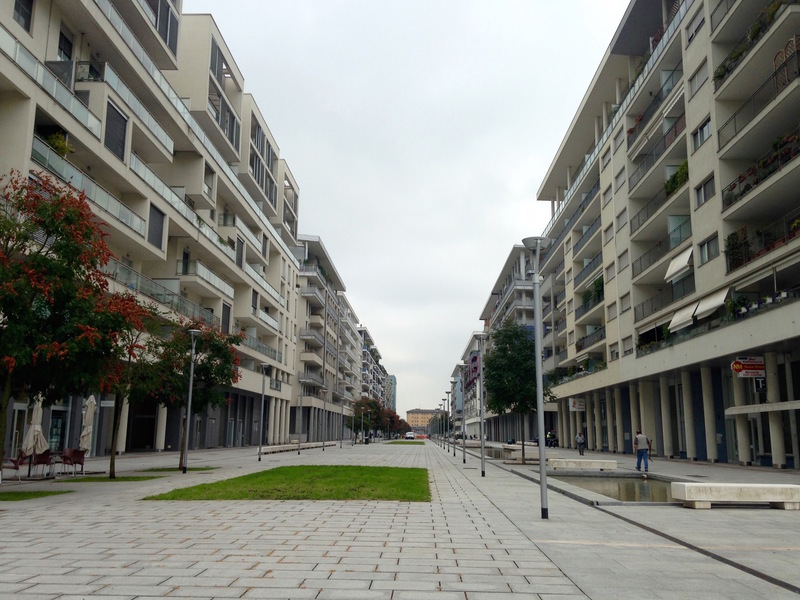 The party’s over at Santa Giulia – it’s time (probably rightly) to revert to the northern European regen model here. You sure about the prices? Sounds incredibly cheap. . .